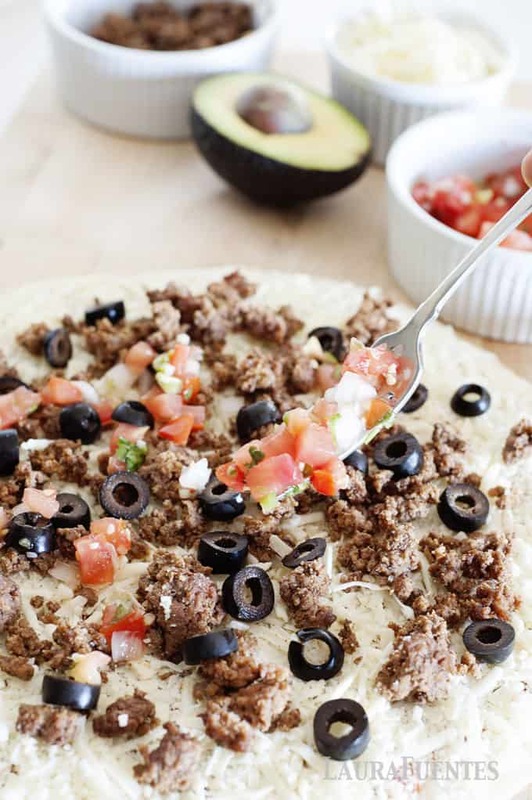 This incredible recipe for homemade taco pizza is epic. You know why? 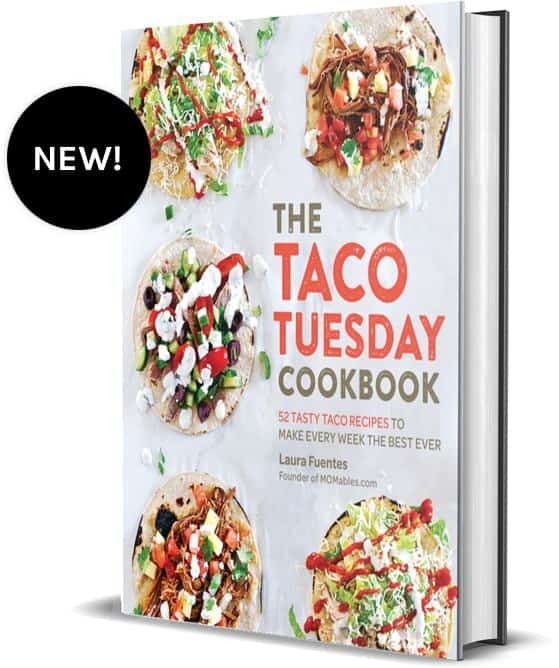 Because you can put your favorite taco ingredients leftover from taco Tuesday and make the best pizza your taste buds have ever tried. 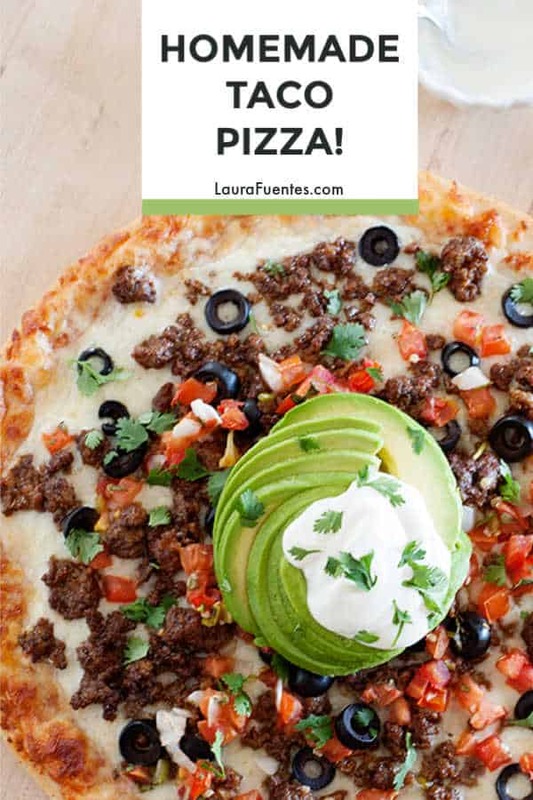 So if you love tacos and love pizza, you’re going to love this recipe. 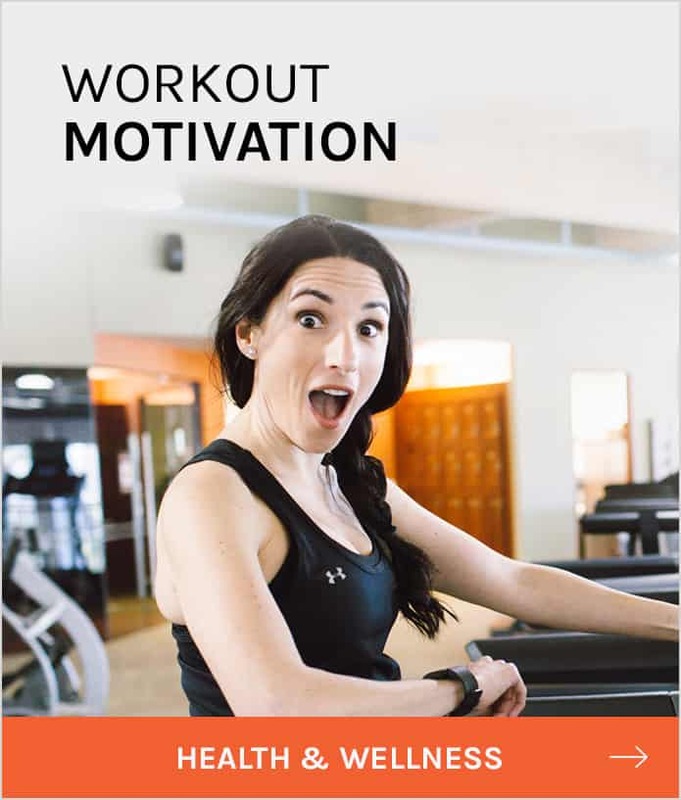 Check out how fun it is to make in this short video. Around 6 p.m Friday nights, it’s officially the weekend, according to my everyone at my house. Maybe it’s the fact that Saturday is the next day and there is no homework to do and we’re not rushing anywhere; so we find ourselves hanging out and enjoying the evening at home. It’s also our usual pizza night -at least two Fridays of the month. But knowing me, I like to put everything that’s leftover in the fridge to good use; and that includes any leftovers from Taco Tuesday. Is there such a thing? Well, on the rare occasion that I didn’t repurpose the leftovers into a delicious lunch, pizza always takes care of the situation for me. Since this recipe uses my leftover taco meat, cheese, and salsa from taco night, that means I spend minimal time in the kitchen because my oven does all the real work! Whoop whoop! 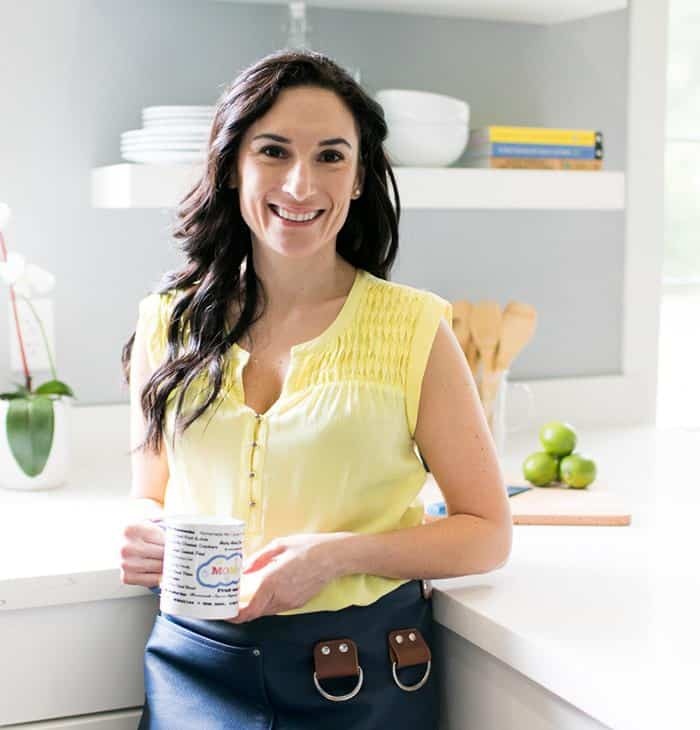 Okay, you don’t have to wait until Friday to make this recipe, but for now, go along with me. On busy nights, I like to use a pre-made frozen pizza crust or straight out cheese pizza. But sometimes I’ll use a batch of my frozen homemade pizza dough. I have to admit there is nothing like homemade pizza, and it’s incredibly simple to make and freezable which you can see how to here. So while the pizza bakes in the oven I hang out with the family and hear all about their day- which is something that never gets sold! 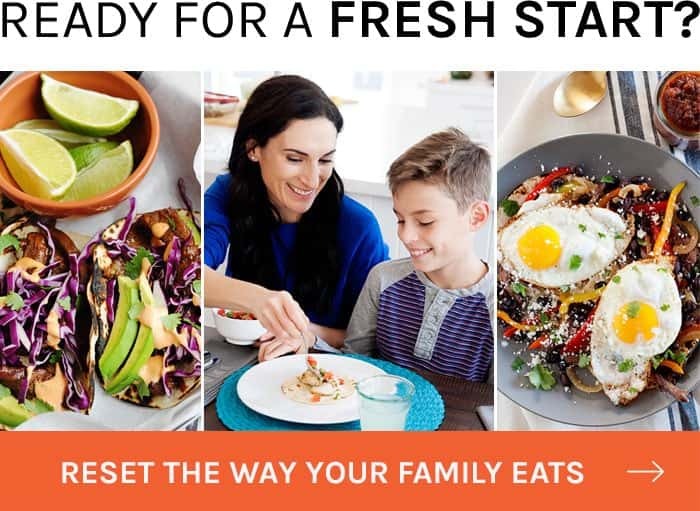 With the smell of tacos and pizza in the air, all everyone can think of is of dinner – of course! Another reason my family loves this meal is the toppings! 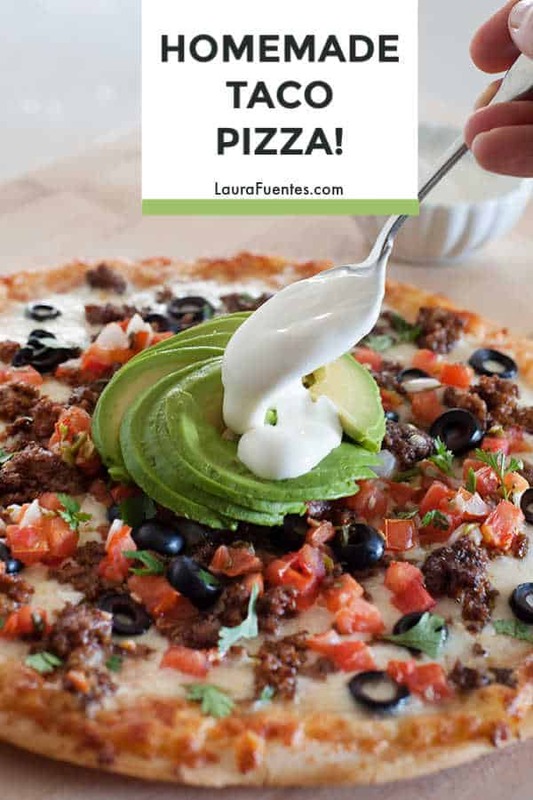 I’ll set out sour cream, guacamole, and additional salsa, so just like a taco bar, everyone can top their slice or in my case, slices, with their favorite toppings. Personally, I go for extra guac and a dollop of sour cream! 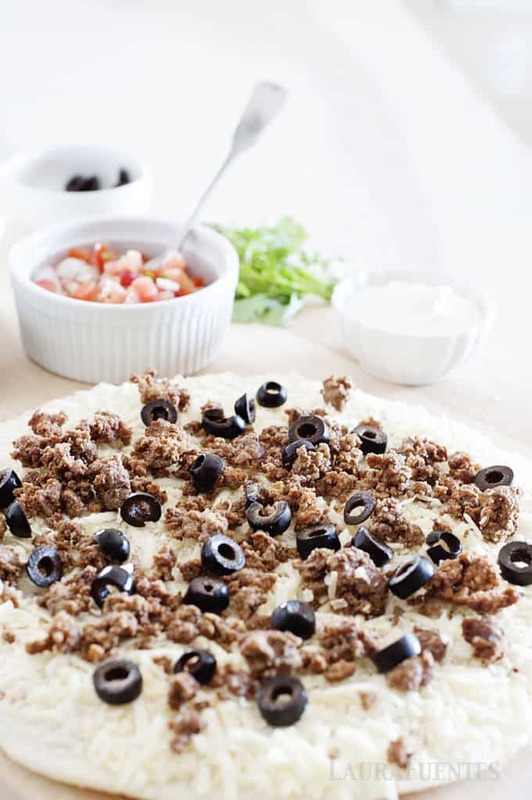 Can you freeze this taco pizza? Absolutely! 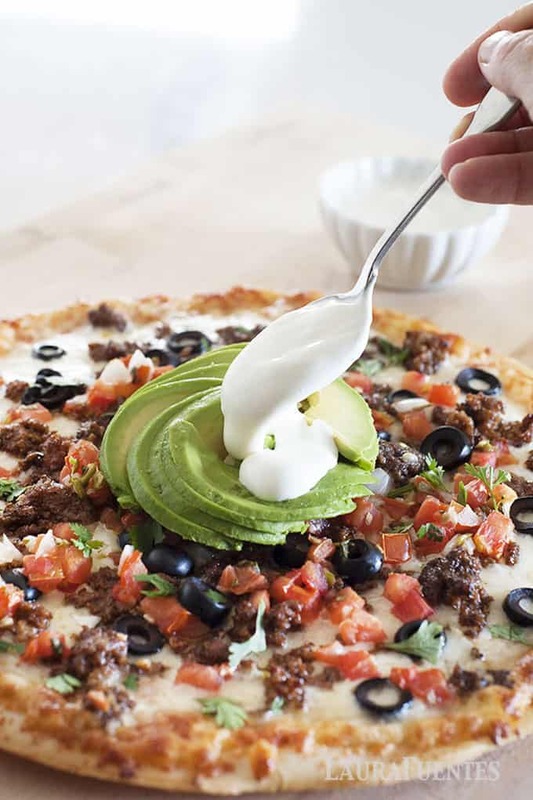 This taco pizza freezes extremely well -all pizza does. All you have to do is place it inside a freezer bag and thaw it out and heat to serve. 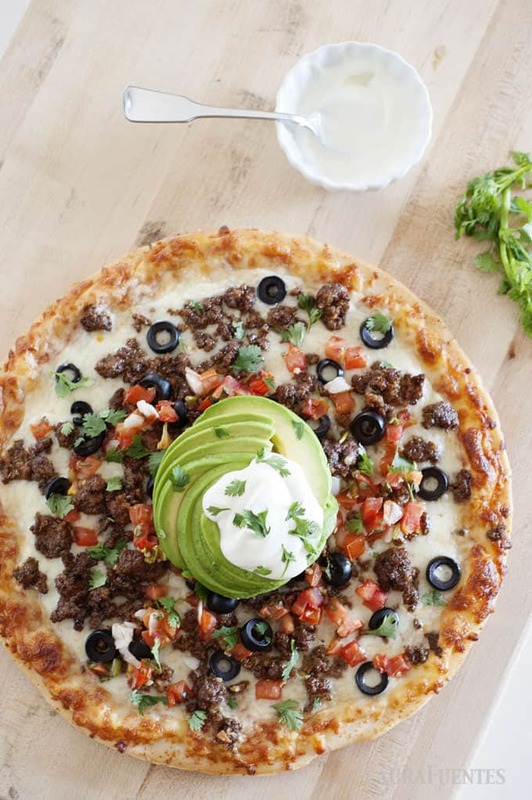 But really, how do you make taco pizza? Well, I mean, all you need is a pizza base + tomato sauce + cheese + favorite tacos. Some days, I make pizza Wednesday nights after my Asian Short Rib Tacos because that’s just one pizza we all love. When in doubt, make tacos. And then, eat tacos again via pizza. Now, my friend, you’re winning in the kitchen department. 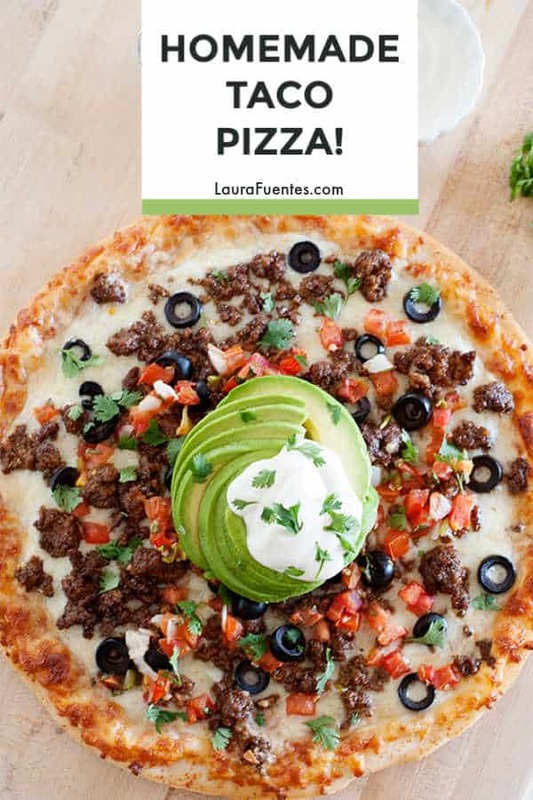 Place frozen cheese pizza on a flat surface and top with cooked beef, black olives, and pico de gallo. Bake, 12-15 minutes, until the crust, is golden and cheese is melted throughout. 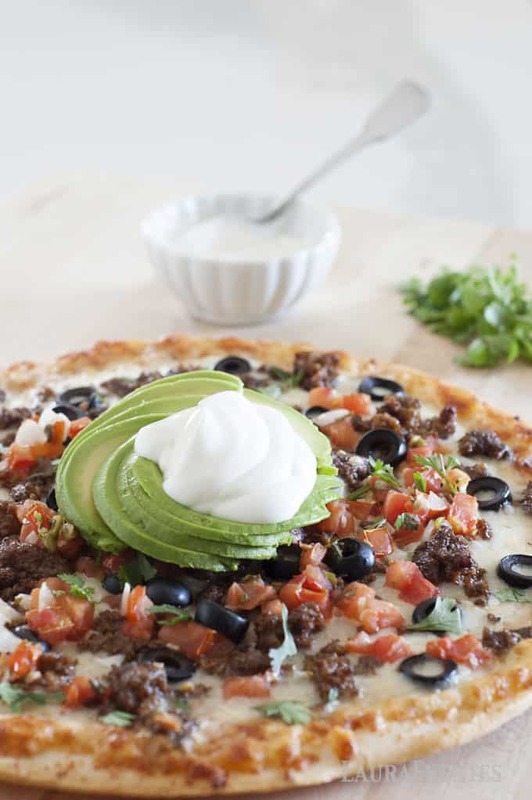 Remove from oven and top with avocado slices, sour cream (middle of pizza), and cilantro. *If using a store bought cheese pizza, check the directions on the packaging and bake, according to the manufacturer’s directions. Temperatures and times may vary depending on the ingredients used. 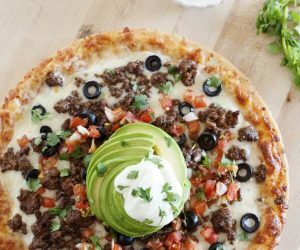 What taco ingredients would you add to your taco pizza? 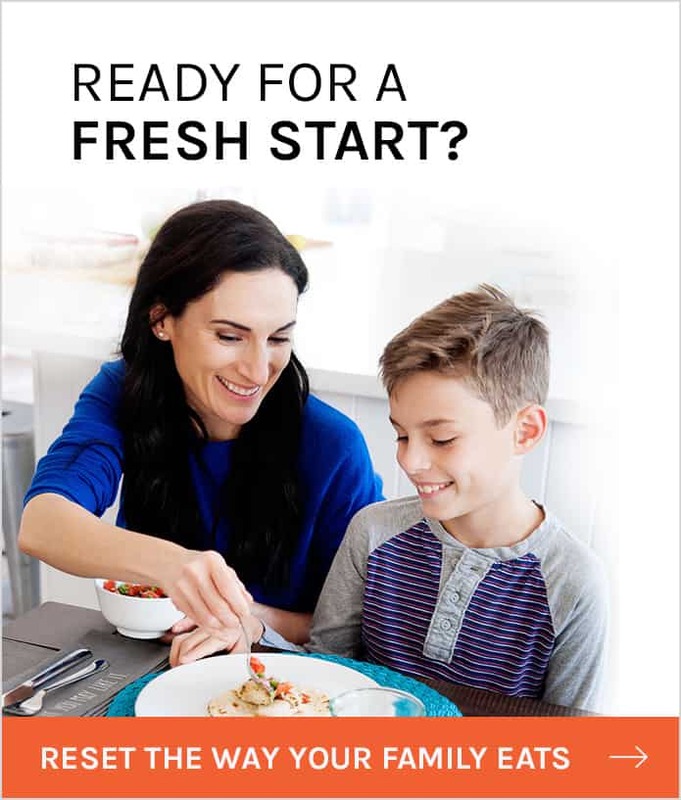 Laura, Can’t wait to make this pizza. It looks wonderful. Thhank you.